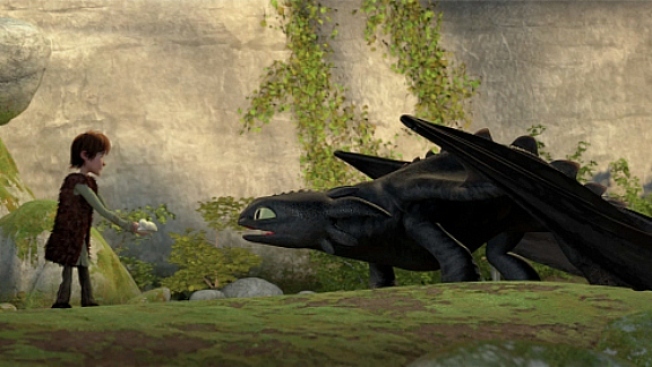 Jay Baruchel Teaches You "How to Train Your Dragon"
Not long after the reviews and box office started rolling for of "How to Train Your Dragon, it became clear there would be a sequel. By April it was officially announced. And now comes word that all the principles will be back to reprise their roles from the film. Jay Baruchel, Craig Ferguson, America Ferrera, Jonah Hill, Christopher Mintz-Plasse, T.J. Miller and Kristen Wiig will all return for the second installment, with Dean DeBois writing and directing, reported Variety. DeBois shared both jobs on the original with Chris Sanders, who's busy working on the "The Croods." "There are nine books, and I feel like there are all sorts of elements that we could pull from," said producer Bonnie Arnold. Whatever happens next, the next "Dragon" will arrive in 2013.